Since I've been out on leave from work (I had surgery a few weeks ago for those that haven't kept up) I have had nothing but time on my hands..and with time.. comes thinking.. lots and lots of thinking. It's no secret that I have been looking for other opportunities..looking to spread my wings and fly fly fly like a bird...eh well you get the point.. basically.. after several years of doing the same dayum thing day after day.. you get bored, no longer challenged, and after you KEEP getting passed over and overlooked for ish..well needless to say it's time to go where you are wanted and your talents are welcomed. Anyhoo.. long story short...in my quest for change, like most folks tell you, rely on your network, make the net work for you, and network! What's funny about that is.. I have networked my arse off for the past 5-6 years, gotten some awesome amazing connections and some of that spiraled into side hustles that I was able to make more connections etc.. 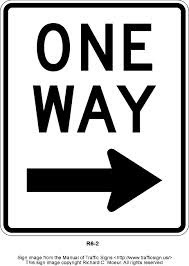 EXCEPT... often times it seems like a one way street and I'm the mofo driving down it the wrong way. I can't tell you how many times I have tweeted, emailed, stood on my head, called, twerked and damn near begged for folks to pass my resume along.....................................................................................................chirp chirp chirp.. <----them's the crickets I get. But you let folks need a press release forwarded to the appropriate news folks, or want to use MY contacts to get some ish..then you never hear the end of it. Example: Someone regularly sends press releases to me and is well connected (ALLEGEDLY cuz I am ASSUming that's true) .. well I ask that person if they know anyone (well for story purposes here names and places have been changed) that works at The Golf Channel (I don't know ish about golf but again..this is just an example) and they tell me they have a friend in management there. I ask would you mind passing my resume along, I have applied on the website multiple times. THE MOFO'N RESPONSE: "Well, you can't leave, because then who would I send my press releases to?" So.. the moral of that example is..mofos are cool as long as the position I am in HELPS THEM.. but when ole Meik Meik is in dire need of help.. it's not an option to lend a helping hand. mmmk... got it..
Another example.. the resume that just sits collecting dust, because mofos never follow thru. Me-if I tell you I'm going to pass your resume along.. I do it. It's up to YOUR skills and TALENT to speak for you, and if I believe in you I'll put in a good word. Maybe I'm too dayum nice. But 5-6 years later.. nice hasn't gotten me anywhere but a headache and a bitter 'tude.. so if I ignore your press releases ... you know why. What's even more frustrating is people saying to me: oh you ain't never gonna leave, you'll ALWAYS be there... you aren't trying, or you aren't looking, or whatever the case may be..STFU. If you know me, then you know that I have done everything short of standing in the middle of 77 during rush hour nekkid begging for someone to help a sista out and give me a chance..and do you think comments like that HELP? THEY DON'T! Lesson Learned: You can't rely on anyone but God to help you out. Whatever opportunity that is out there will be for me and nobody will be able to block it, take it away, or even stifle it for their own messy arse gain. I must keep searching..
My granddeddy told me last night, you'll stumble across the right opportunity and you'll be glad for all the closed doors, because this one open door was meant for you. Have y'all had this happen? How did you handle it? I dealt with that so much when I was working in entertainment. I dealt with it more when I was in radio than TV, but nonetheless, its still that ish that I don't like. maybe it's just the industry as a whole.. people are out for self. i feel the same way...so many people are totally out for self. It's totally true. Here's some inspiration to help you through it(based on something a guy I knew had on his wall): the word "no" written 100 times, 10 times each on 10 times. In the middle of the second to last row, the word "yes" was written. And on the bottom: Thank you for that "no"; it just got me one step closer to "yes." That is a good reminder and some awesome inspiration thanks chilltowntv!